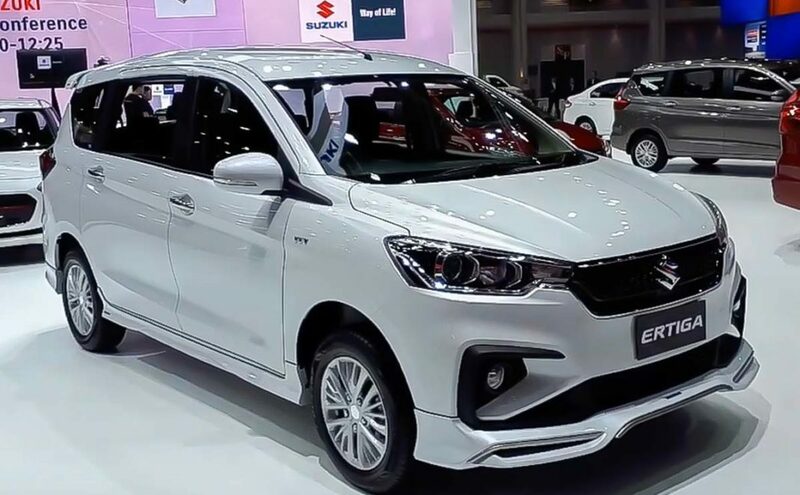 Just over 11 months ago, Suzuki hosted the world premiere of the second generation Ertiga at the 2018 IIMS (Indonesia International Motor Show) and it went on sale in the popular markets of Southeast Asia before entering India in November 2018. The seven-seater MPV has been an instant hit and is living up to the expectations of customers with a lightweight platform and a new fuel-efficient petrol engine. In recent weeks, Suzuki has embarked on expanding the Ertiga’s range and introduced the special Black Edition in Philippines while the more comprehensively updated GT Sport variant went on sale in Indonesia. The Ertiga is expected to receive a Cross version along the due course of this year in India and it will be more premium than the standard model. It will likely incorporate a six-seater layout and be sold through Nexa dealerships. At the ongoing 40th Bangkok International Motor Show in Thailand, Suzuki has unveiled a sporty body kit for the people carrier and we must say it fits the Ertiga quite well. The Heartect architecture based Ertiga has a revitalised exterior in its new avatar and it has been exploited by being wrapped in an eye-catching body kit. As you can see in the walkaround video, the Ertiga wears a standard Pearl Snow White colour scheme and sits on the top-spec 15-inch alloy wheels with the regular multi-spoke design. The body kit adds more liveliness to the Ertiga with chrome underlip treatment and it goes in line with the black fog lamp bezel and abundant use of chrome on the front grille and blackened projector headlamps. Except for the side skirt, no changes to the side profile have been made while the rear end gets kitted out with twin bulging spoiler integrated on the roof and an underbody skid plate. It is based on the top-spec GX variant of the Ertiga with a 1.5-litre K15B, DOHC, VVT petrol engine producing 104 bhp and 138 Nm. It is mated to a four-speed torque converter automatic transmission. As opposed to the standard Ertiga, the lower portion of the dashboard has a grey finish in the show car and some of the important features present are 6.75-inch SmartPlay touchscreen infotainment system with Apple CarPlay and Android Auto connectivity, push button start/stop, ABS with EBD, Electronic Stability Program, Hill Hold function, etc.